Its formulation rich in natural substances with moisturizing and emollient action and a large content of Vulcan Clay, whose eudermic and specifically targeted toxin absorption properties are universally known, allows a dual use of the product: as exfolianting, to help to remove impurities and superficial dead cells, promote the natural process of skin exfoliation and cell replacement; and as a Dermopurifying Mask and at the same time hydrating and normalizing for the skin of the body. In both cases, the product predisposes an optimal skin absorption to subsequent treatments. It leaves the skin surface perfectly smooth and elastic, remarkably bright and silically soft. It is suitable for all skin types, even the most delicate and sensitive. APPLICATION AS EXFOLIATING One or two times a week, apply mud on the skin, still damp, and massage over the body for about a minute. For a more effective result, use a natural fiber glove. Rinse thoroughly under the shower or dive into the bath water. 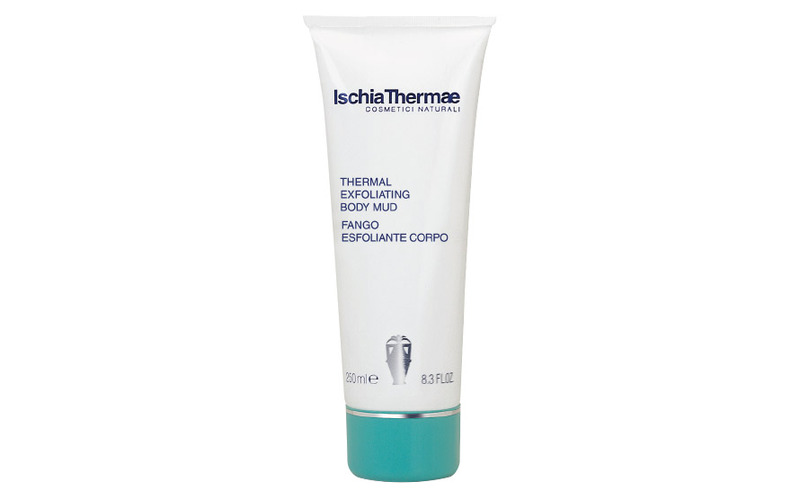 Continue with the usual body treatment cream of Ischia Thermae.